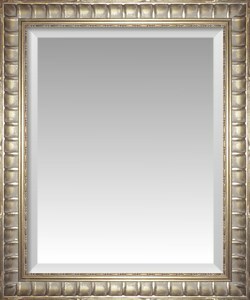 Framed Mirrors aren't just a reflective surface - they can add sophistication and style to any space or room. 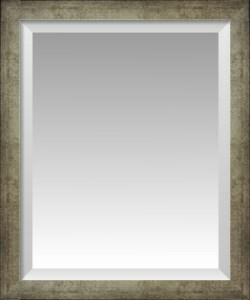 Finding that perfect wall mirror to match your current style or decor can prove difficult at best. This is why FramedArt.com offers a wide variety of custom framed mirrors. 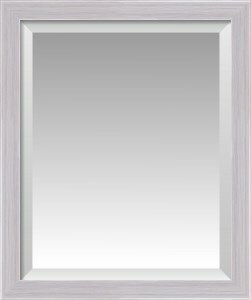 With over 40 frames to choose from and open ended sizes, you can completely customize your wall mirror. 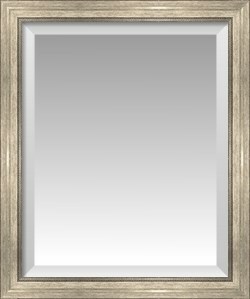 Whether you're searching for the chic bathroom mirrors, a vanity mirror, an entry mirror, or even a vintage mirror, you can find the perfect framed mirror to fit your space. 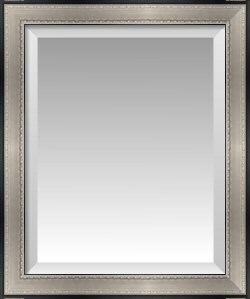 Custom framed by our skilled framing craftsmen, we guarantee your wall mirror satisfaction. All of our framed mirrors are available in 6 standard sizes. 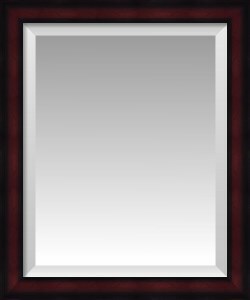 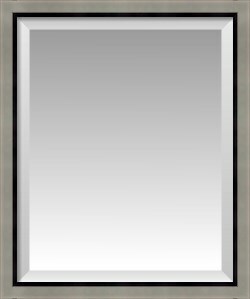 Ranging from 16" x 20" to 30" x 40", FramedArt.com carries a variety of standard sized mirrors to fit your decorative framed mirror needs. 16" x 20" 20" x 24" 22" x 26" 24" x 30" 24" x 36" 30" x 40"
When viewing an individual framed mirror, you can select the "Create Custom Size Mirror" option to get the perfect size for your space. Whether you're looking for a bathroom mirror, a mantelpiece mirror, or even an entry mirror, you can get the exact height and width that you need to fit your room. Need help figuring out exactly what size you need? Our customer service representatives can help you with all of your custom mirror needs. Each framed mirror comes equipped with hardware on the back based on your orientation selection. 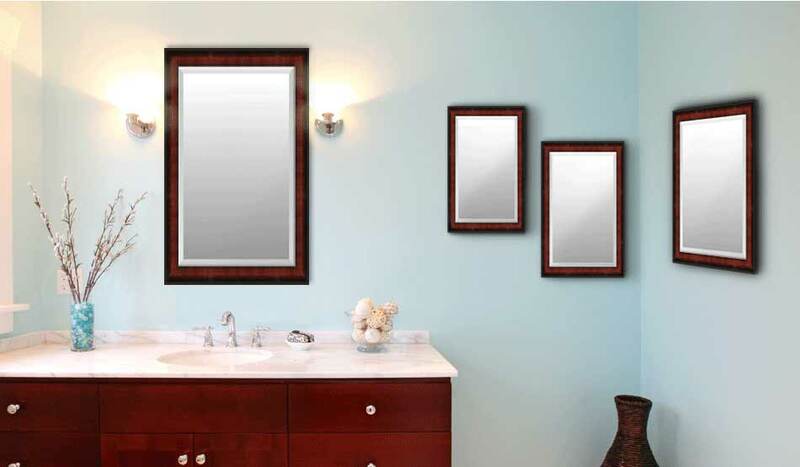 For example, if you're looking for a tall mirror for your bathroom, select the "Tall" option. 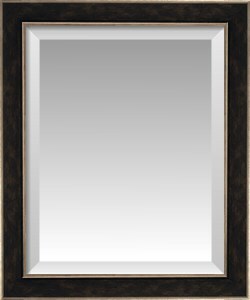 If you need a dining room mirror for over a buffet table, you will probably want to select the "Wide" option. FramedArt.com offers two different mirror glass options, beveled and standard. 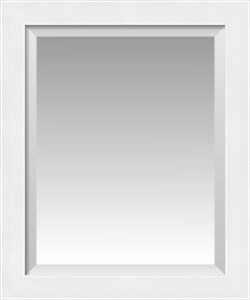 Standard mirror glass is available online for both custom and standard sized mirrors. 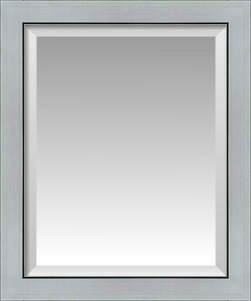 The beveled mirror glass option is available for all standard sizes online and by request for custom sizes. Need help selecting a wall mirror? At FramedArt.com, we pride ourselves on our outstanding decorative mirror customer service. If you would like to make a custom framed mirror or have any concerns, questions, or comments on our wall mirrors, please feel free to reach out to one of our custom framed mirror experts at 800-418-2166. 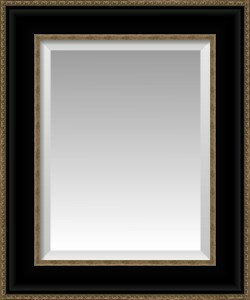 We are available 9AM - 6PM EST Monday through Friday. Click here to see how to hang your framed mirror.